MAGGIE POWERS, MS, RD, CDE, is a registered dietitian and diabetes educator. She has received the American Dietetic Association's Award for Excellence in the Practice of Clinical Nutrition and the American Diabetes Association's Award for Outstanding Health Professional Educator in the field of diabetes. She is also the author of Forbidden Foods Diabetic Cooking and Handbook of Diabetes Medical Nutrition Therapy. 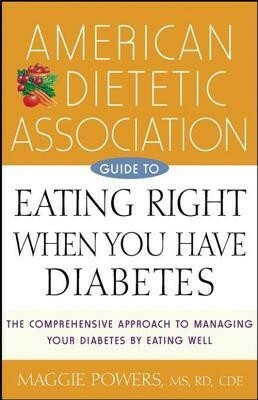 I'm the author/artist and I want to review American Dietetic Association Guide to Eating Right When You Have Diabetes.